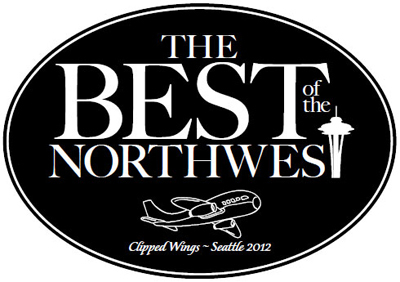 2012: “The Best of the Northwest” national convention was held in Bellevue, WA and hosted by the SEA Chapter from September 19–22. In NASHVILLE Tennessee was held on September 22-25. The nationally-hosted “Grand Ole Convention” theme of the 48th convention was evident by the participation of 31 chapters and 235 members from throughout the country. It was dedicated to ”Stewardesses/flight attendants who, though occasionally underappreciated, have made air travel safe, comfortable and enjoyable for the flying public during the past 80 years. Special recognitions goes to those who have continued the spirit of friendship, service and sharing by becoming members of organizations like Clipped Wings.” A National Parent Grants Program for Special Olympics was voted as our Philanthropy Project for the next two years, with donations for the families of USA team members participating in the 2011 Summer International Special Olympics Games in Greece. As a National group we have donated, since 1950, $9 million, and 49 years of volunteer hours. LOS ANGELES “California Dreamin’” September 24-27, at The Westin in Pasadena. DENVER – Purple Mountain Majesty, September 19-23, at The Brown Palace Hotel and Comfort Inn. Results of philanthropy task force appointed at 2004 convention was national involvement only/no further international involvement due to expense and difficulty of personal pass travel to destinations outside the U.S. Brainstorm session held in DEN showed continued interest in supporting Special Olympics, with Philanthropy Options Review Committee appointed to research options for future, within and outside of Special Olympics. Total philanthropy donations to date are over Seven Million dollars and volunteer hours amount to 43 (man-hour) years. DALLAS and RENO chapters take “Inactive” status. PHOENIX 5th Convention was themed Desert Magic. Oakland and San Jose co-hosted one event, with O’Hare in charge of another. Due to bankruptcy status, United withdrew convention and Special Olympics passes. Major questions for PHX delegates and members were how and what to support after Nagano, 2005. A philanthropy task force was appointed to study all facets. Report was due December 18, 2004. Highest membership ever was reached at year end, 1,567. In the fall, chapter 32, MARYLAND (BWI) joined us. SAN DIEGO with Los Angeles hosting a banquet and Orange County, a dinner. New chapters: DES MOINES (DSM) and NEW JERSEY (EWR). (For newer members, we had chapters in both places long ago.) Larry DeShon, Senior Vice President of Onboard Service announced the new Volunteer Clipped Wings Ambassador Program. Members assisted at Chicago’s Training Center for several months until financial changes at United forced cancellation. November brought our 27th chapter, SOUTHWEST FLORIDA (RSW). Bylaws amendment changed fiscal year and conventions from July to September beginning in 2004.ATLANTA (ATL) and MIAMI SOUTHEAST SUNBIRD (MIA) … 29th, 30th and 31st. MILWAUKEE Hosted in Honolulu with major events co-hosted by other chapters. The celebration of “70th Anniversary of Onboard Service” was low-key due to labor problems of United. Clipped Wings contributions to archives would be part of the display in WHQ, later moved to the Training Center upon completion of the renovation. A vote in HNL established a new tradition: “The Memorial Roll” of members who have passed on since the previous convention. It was to be first executed in a ceremony in SAN in 2002. PORTLAND with Seattle hosting a major event. After 44 years as a “group” with delegate and voting status, Members-At-Large were chartered as a chapter. During United’s “Pride Week,” a permanent plaque honoring Clipped Wings, beneath framed artwork from Special Olympics, was enshrined in a Gallery of Care hallway at WHQ. It noted our contributions to Special Olympics. MEMBERS-AT-LARGE hosted in New Orleans. We were recognized by an appreciation plaque for service back to the first Special Olympics in 1968 in Chicago. Website was established www.clippedwings.com. WASHINGTON DC hosted in Miami and a Bahamas Cruise with many chapters lending assistance onshore and at sea. SAN FRANCISCO was hosted by 5 Bay Area Chapters Marin, Oakland, Palo Alto, Redwood Empire and San Jose. United announced passes for first time out of USA Special Olympics in Austria. ORANGE COUNTY hosted with Los Angeles and San Diego sponsoring major events. We joined United’s celebration of the “Sixtieth Anniversary of In-flight Service,” as well as United’s entry into European markets. SEATTLE Delegation vote was to start in 1990 giving awards only at our biennial conventions. DENVER hosted at Keystone Resort. Delegates voted two-year terms for national officers and biennial conventions. After 24 years, Research Fund was dropped as national philanthropy, replaced by then – International Special Olympics. O’HARE hosted at Indian Lakes Resort. DETROIT. United granted presidential travel passes. ORANGE COUNTY hosted with Los Angeles and San Diego taking a major event each. In honor of the passing of Founder Jackie Jos Ceaser (January 19, 1980) our DSA Award had her name affixed. We added a memorial band to her plaque at United’s Training Center. System-wide events marking the “Fiftieth Anniversary of In-flight Service.” On May 15 many of our members, in vintage uniforms, went flying for one day as guest stewardesses. Clipped Wings charities benefited from a fashion show of uniforms from all airlines held in 6 cities. Clipped Wings had its largest number of chapters, 39. First local convention co-hosted by national with multiple chapters assisting in Las Vegas. Full membership granted to former Associate Members, (current flight attendants). MILWAUKEE hosted at Oconomowoc, Scotsland Resort. This was United’s 50th Year as an air carrier; many chapters participated. SEATTLE Clipped Wings inspired a Living Memorial to “Uncle Steve” as the Father of Stewardess Service. A flowering crab apple tree shades a granite-mounted bronze medallion designed and executed by artist-member Jean Talboy Stein. This memorial at the entry site of the United Training Center welcomes everyone arriving there. Part of donations came from members, with United contributing the balance. At convention we assisted christening of the Boeing 747 named The Original Eight. Five of the living group attended and splashed the customary champagne. ATLANTA. Increased hiring of males made Flight Attendant the industry-wide preferred term. We voted an Associate Member category for flight attendants of both sexes. Father of Stewardess Service, Steve Stimpson, passed away in January. He held National Honorary Membership. Several Bay Area Chapters shared host duties in San Francisco. DENVER hosted at Vail. United hired its first male flight attendant by decree of law. PORTLAND hosted. We reached an all-time high in membership of 1,436. CLEVELAND hosted at Avon Lake Resort. We celebrated “United Stewardess Service’s” 40th Anniversary. Bylaws revision and addition of policy statement. An important change was Chapters were considered ‘chartered’ upon receipt of dues by National Treasurer. Hosted by MIAMI. Best All-Around Chapter award was enhanced by United’s gift of a traveling trophy, a silver punch bowl, tray and ladle. The intent was for each chapter recipient to inscribe its name on the tray. LOS ANGELES. The new Ellen Church Marshall Wing was added to the Chicago Training Center. The new name was United Education and Training Center. It was for use by other UA groups as well. Plaque copies of a bronze bust original were sent to every stewardess-training center in the world. United’s tribute to Jackie Jos Ceaser’s founding of Clipped Wings was dedicated with a special commemorative plaque. DENVER hosted the convention at Colorado Springs. “Best All Around Chapter Award” was originated. Members/chapters were allowed to submit names for the Distinguished Service Award for the first time since award inception. Former Capital Airlines Hostesses were welcomed into membership. SAN FRANCISCO. As part of the 35th Anniversary of Stewardess Service, United arranged for over 100 Clipped Wingers to fly on May 15 as guest stewardesses. Honorary Member, Ellen Church Marshall, the world’s first airline stewardess, died after a fall from a horse, August 1965. CHEYENNE. United honored Founder Jackie Jos Ceaser with custom-designed diamond wings, presented at a stewardess graduation. HONOLULU hosted. IRS assigned tax exempt, not tax deductible, status as (501)(c)(7) with rationale: We were more social than philanthropic. A Research Fund, still in the field of mental retardation, was set up for all chapters’ participation as a National Philanthropy project, in addition to local level charities. United made its first official donation toward travel for our National Presidents to visit chapters. We presented the new Training Center with a bronze wall sculpture, MIGRATION. The piece suffered irreparable damage during an extensive remodeling project in the early 1990s and later disappeared. SEATTLE was our Tenth Convention. Co-hosted by LONG ISLAND, NEWARK (later changed to NEW JERSEY) and BOSTON chapters in New York City. BOISE and PORTLAND co-hosted in Sun Valley. Chapter awards were initiated along with a member award for Distinguished Service, all to be presented annually. DENVER. First appearance of United gentlemen who enjoyed sharing Friendly Music and became staples at our conventions. We dubbed them the Clipped Wings Combo. United observed the 25th Anniversary of Stewardess Service at major domiciles and presented current/former stewardesses with silver charm bracelets. SAN FRANCISCO. Members-At-Large category was created with their chairman a national appointee. CHICAGO. Various charities were presented, with choice being (then-named) mental retardation, for local level participation by all chapters. SEATTLE was the site for the first convention often recalled as an ‘organizational meeting’ that attracted observers and potential chapters. Membership was 211. First bylaws adopted. Denver’s newsletter, Wilted Wings, became the national paper. Mary O’Connor voted first Honorary Member. Charity donations from 1941-1951 were $555.